Porcelain Veneers the secret to a Hollywood Smile. 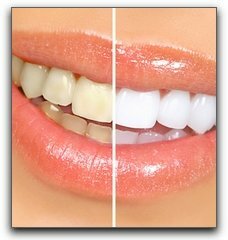 Porcelain veneers offer a unique way to preserve more of your natural tooth while providing a cosmetic translucent appearance. Get the beautiful white smile of your dreams with this simple cosmetic dental procedure. Porcelain veneers are extremely versatile. They can be used to replace worn, chipped, discolored and misshaped teeth. Modern porcelain materials eliminate the need for reducing large amounts of tooth. Furthermore, advanced bonding protocols make the junction of tooth and veneer exceptionally strong. Thus, modern cosmetic dentistry achieves beautiful smiles while being conservative. Porcelain veneers are custom made for each patient. They are “contact lens” thin and placed on the outside of the tooth. The veneer is then bonded to the tooth. The veneer will change the color, shape, size and length of the tooth providing the ideal smile design. Porcelain veneers are very durable and strong. Normally, it will take three office visits with Dr. Nugent. The first visit will be a consultation where Dr. Nugent and you will go over every detail of your new smile. You will be able to pick the color and shape of your new teeth. The next visit is where Dr. Nugent will prepare the teeth for the veneers and impressions will be taken. The last visit is when the new custom made porcelain veneers are bonded into place. Cosmetic Dentist Michael Nugent can talk with you to decide what your options are for a beautiful new smile. 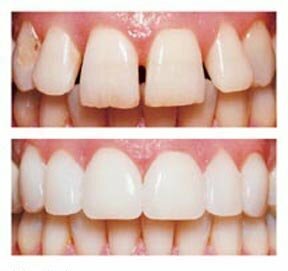 Sometimes, simple teeth bleaching (teeth whitening) will satisfy the patients concerns. To discover how cosmetic dentistry and porcelain veneers can change your life by delivering the smile of your dreams. Call our office to discuss the amazing benefits of cosmetic dentistry. 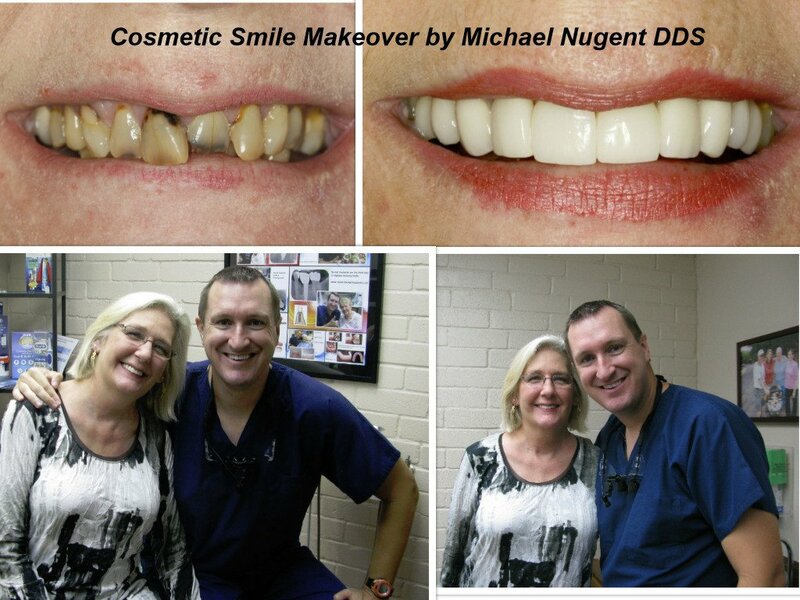 Dr. Nugent is a leading cosmetic dentist in Pasadena, Texas. He has been honored to be voted BEST PASADENA TX DENTIST 2010 and BEST PASADENA TX DENTIST 2011. See how experience and compassionate dentistry can change your life. Unsure about cosmetic dentistry and what it can do for you? 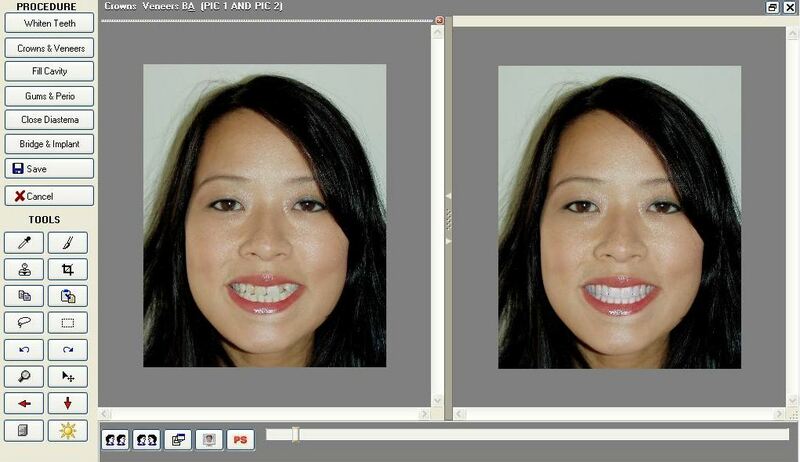 Dr. Nugent has advanced cosmetic simulations where he can do digital smile make overs. See you before and after pictures before you start. We invite you to call our Pasadena, Texas Dental Office to explore the possibilities of cosmetic dentistry. Visit our office at 3421 Burke Rd Ste A, Pasadena, Texas 77504 or call us at 713-941-8261.